Correct diet for your thyroid can offer many benefits like reducing the risk of hypothyroidism, which can lead to numerous health complications. But what foods should you be consuming for your thyroid? Well, we are about to tell you, but first it’s important to understand just how important the thyroid truly is. Our thyroid is often overlooked unless a doctor raises concerns about it. Although you may not think about it much, it plays a major role in producing hormones and regulating our metabolism. When this process is thrown off, it can cause hypothyroidism (underactive thyroid). The good news is, hypothyroidism is manageable and one way to do so is through diet. Just as our body requires nutrients for it to function properly, so does the thyroid. This is why diet is so important for proper management of hypothyroidism. There are certain types of food that are best for hypothyroidism. 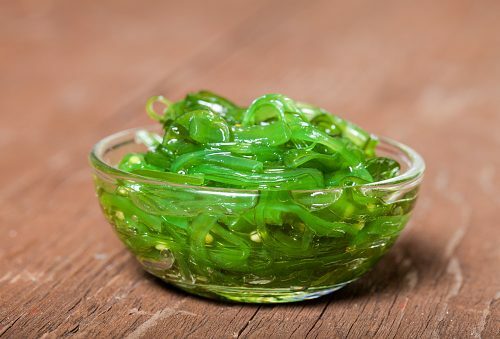 They are iodine-rich and selenium-rich foods. Before we outline foods for hypothyroidism, let’s discuss the importance of iodine and selenium in your diet. Iodine is required for the normal functioning of the thyroid, so when the thyroid is under-performing, boosting iodine can help it. Iodine-rich foods may aid in symptoms associated with hypothyroidism and assist your metabolism. Selenium is also highly beneficial for your thyroid as it aids in the production of hormones making your thyroid not have to work as hard. 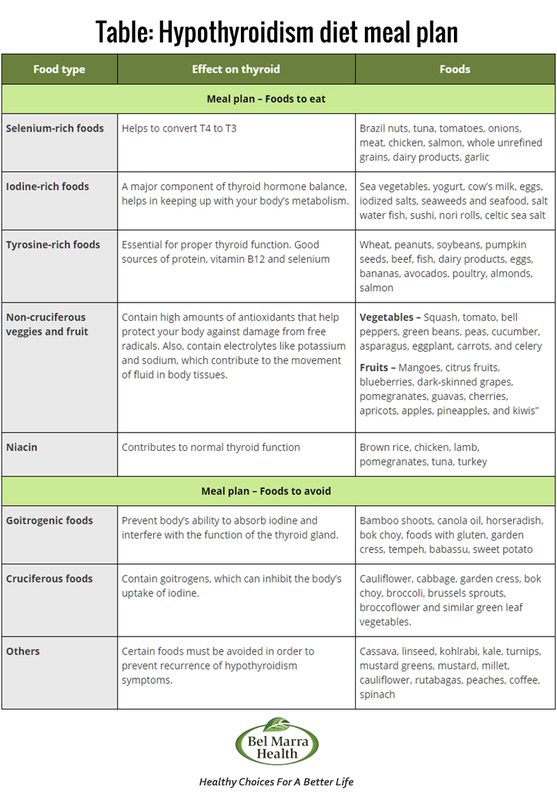 Now that we understand the role of iodine and selenium in addressing hypothyroidism, let’s outline foods that you should eat if you have hypothyroidism. Cruciferous foods Contain goitrogens, which can inhibit the body’s uptake of iodine. Cauliflower, cabbage, garden cress, bok choy, broccoli, brussels sprouts, broccoflower and similar green leaf vegetables. Eating foods to help hypothyroidism can benefit your overall good health as well. Eating them daily can help boost the health of your thyroid and make living with hypothyroidism manageable and easier to live with. On the other hand, there are foods you should avoid as they can worsen symptoms and the condition itself. Soy: Soy can interfere with hormones, especially in women. Cruciferous vegetables: Generally food items like broccoli and cabbage are recommended for healthy eating, but not if you have hypothyroidism. This type of food can interfere with the production of thyroid hormones. Gluten: Although commonly avoided by those with Celiac disease, gluten should also be avoided if you have hypothyroidism. Fatty food: Fatty foods may interrupt the absorption of thyroid medications. Sugary foods: With an already slower metabolism adding sugary foods will lead to greater weight gain. Processed foods: Hypothyroidism can result in higher blood pressure, so the added salts from processed foods will only worsen this. Too much fiber: Fiber is good to keep us regular, but not in the case of those with hypothyroidism. Coffee: You may have to cut back on your morning coffee. Caffeine can limit the absorption of thyroid hormone replacement medications. Alcohol: Alcohol can disrupt the production of thyroid hormones and reduce the body’s ability to utilize these hormones. What is hypothyroidism (underactive thyroid)? Hypothyroidism is a disruption in the normal processes carried out by the thyroid. Production of hormones reduces, which can lead to weight gain, constipation, changes in skin – becoming too dry – fatigue, and even depression. Hypothyroidism can occur due to stress, if the thyroid is removed through surgery, or simply if it stops functioning normally. These symptoms, although part of hypothyroidism, are also quite common among other illnesses. Speak to your doctor and get your thyroid checked to know for sure. Hypothyroidism is something you can live with. Along with medications, a hypothyroidism diet can greatly improve your everyday life and assist your thyroid. Enjoying these foods to help hypothyroidism is a great way to boost iodine and selenium – both essential for a healthy thyroid. Lastly, ensuring you’re not consuming the foods to avoid for hypothyroidism can help you feel better in the long run and make your thyroid hormone replacement that much more effective.